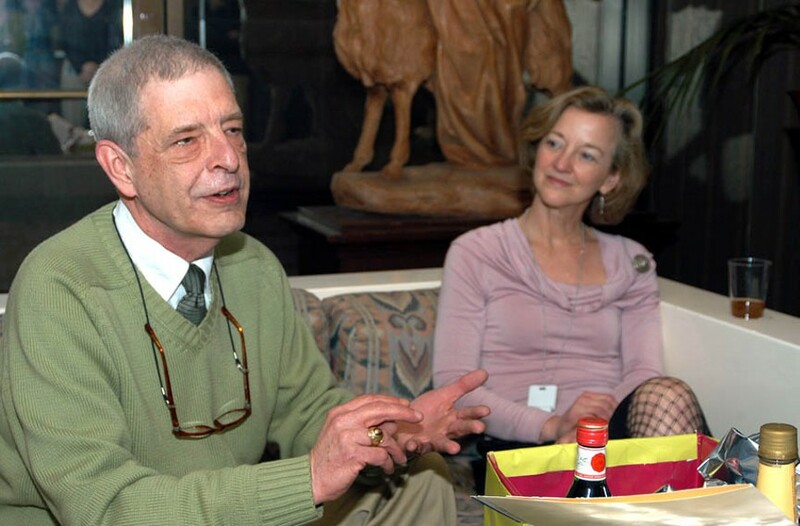 Remembrance: Donald Edward Dale, 1942-2015 | News and Features | Style Weekly - Richmond, VA local news, arts, and events. Don Dale was a storyteller. Typing with manic speed, he used two fingers on the keyboard to produce flawlessly eloquent material for the Virginia Museum of Fine Arts and for a television column that ran for years in Style. He didn’t live to see 2016, but his rich, personal stories will live on in his entertaining blog, Cogito (nodelad.blogspot.com), and in the memories of his friends and admirers. Writing didn’t come easily to him, as he often noted. “All you have to do is sit down and open a vein,” he’d say, grinning. A gifted raconteur, Don told entertaining stories about his service as a medic in the Air Force, his perspective on life as a gay man, and his career as a television news director. Cheerfully, he recounted his 1977 experience, announcing in a WTVR-TV 6 news scoop that Sen. Harry Byrd Jr. had died in an auto crash. Minutes later, Byrd telephoned Don to say that rumors of his demise were greatly exaggerated. This event concluded Don’s tenure as news director at the station, and the museum was fortunate to hire him shortly after. Don was an innovator. Navigating the mysterious MS-DOS system, he was one of VMFA’s first staff to embrace technology, composing on the museum’s first word processor in the ’80s, located several floors from the public affairs suite behind the director’s office. Inspired by a new tool used by television publicists, he innovated the first media-room website for an art museum. He used his broadcast skills to win a national Silver Anvil Award from the Public Relations Society of America for video news releases, which he wrote and narrated. Don was a teacher. Nonprofit communications offices are fueled by interns seeking careers in what appears to be a glamorous field. Don would quickly discern students who had potential and work patiently with them to develop their skills. No intern or staff person escaped the precision of his non-negotiable, red editing pen. Sometimes there were tears, but Don was an excellent editor and teacher, and usually right. And finally, Don was a smoker, all of his life. There was a time when everyone smoked, everywhere, even during meals. As restrictions accelerated, he complied, marking the hours of his day with outside smoking breaks. Don died Dec. 28, at 73, of an apparent massive heart attack on the way to his fitness class at the Weinstein Jewish Community Center. He was taken from his family and friends too early, but what a way to go. Editor's note: This story reflects a change from the print version correcting the year of Dale's experience with the Byrd story.